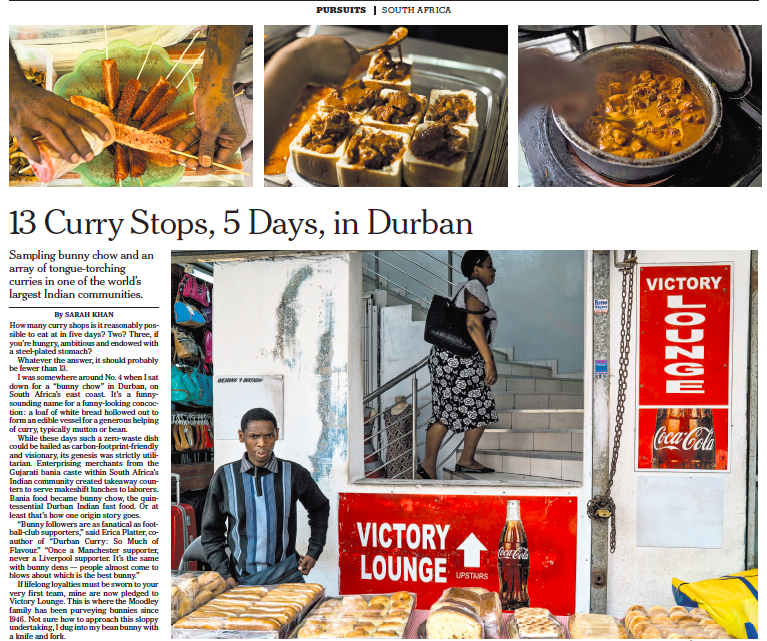 Last February, sale I embarked on one of the most foolish quests of my career: to try as many of Durban’s curry shops as I could in five days. It wound up being a lot of fun, and I got to explore South Africa’s distinctive Indian culture and cuisine. The full-page feature is out in this weekend’s Africa issue of the New York Times’ Travel section, alongside my 36 Hours in Cape Town story.